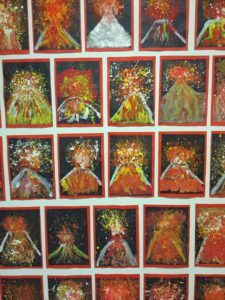 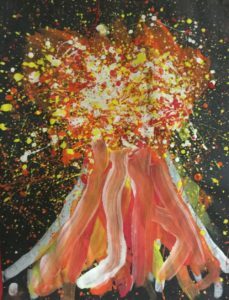 Year 3 have been embracing their new geography topic this term by taking part in some Explosive Art! 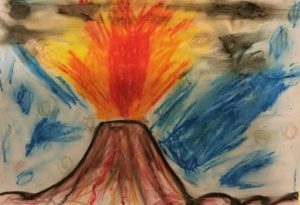 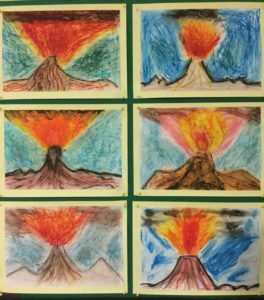 We learnt how to draw a volcano leaking lava and toxic gas using pastels and learning how to blend colours. 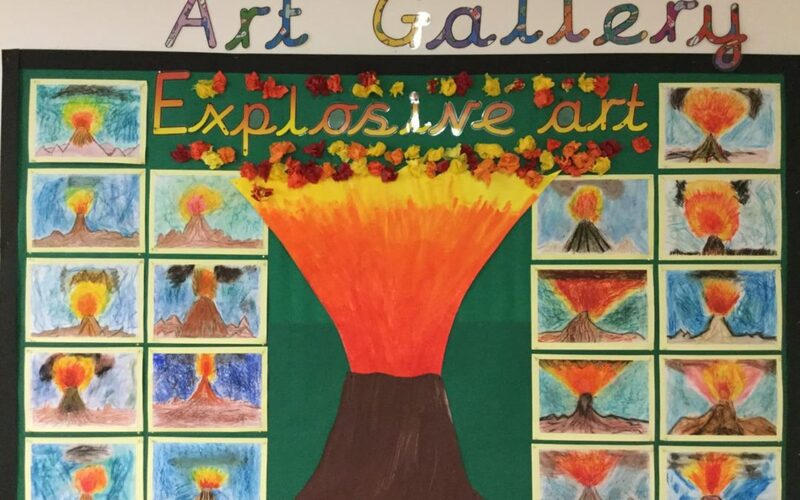 We wanted to capture the explosive power of volcanic eruptions in what turned out to be a very messy art lesson! 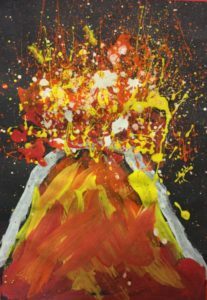 We enjoyed learning how to splatter the paint to make some explosive effects! 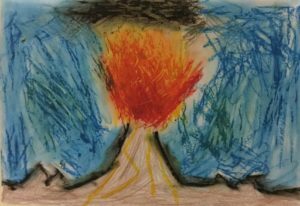 Both art lessons were very fun and very messy but as you can see it was totally worth it!